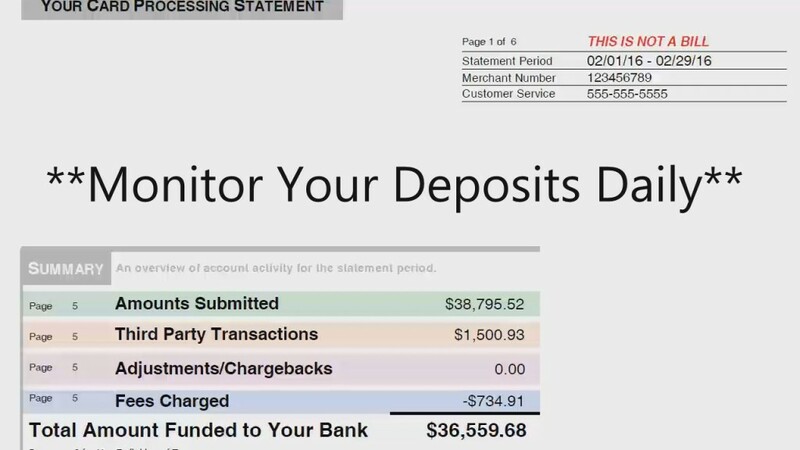 There’s only 3 things that you REALLY need to pay attention to on your monthly merchant account statement. And in this video we’re going to discuss all of them AND go through a sample tier based statement so you understand what to look for. This statement is from a retail business that is using the First Data Omaha platform. If you don’t know exactly what that means, that’s okay, just follow along and I’ll show you want to look for. TIP#1: Nowadays, the paper statement should be a supplement to an online reporting center or reporting tool that your merchant account provider gives you access to. So the statement at the end of the month is just a recap, of what happened through the month and you should be monitoring your deposits daily to ensure you’re getting paid what you should. Page 1 is where you find your SUMMARY. and the cooresponding fees that were charged for all the transactions with the exception of American express discount rate. Page 2 & 3 are notifications about interchange rate adjustments and how they affect your account. The important thing to remember here is that this is simply the legal disclosure part of the statement. the provider is letting you know that there is an adjustment coming. However, the adjustment MAY not even apply to your business or your rate structure, so for now, let’s just leave that section alone. Page 4 is an itemization of the card brands and cooresponding volume. 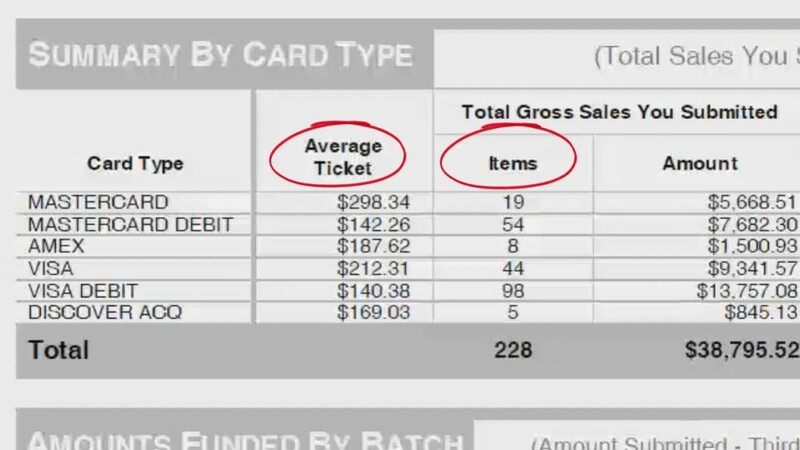 It shows average ticket, number of transactions in each category, and the total volume minus any adjustments if there are any. The remainder of page 4 are batch totals listed by date. Page 5 is the start of the FEES paid for the month. This includes the percentage rates and transaction fees broken down into each tier based category. You’ll notice that each card brand lists qualified, mid qualified and non-qualified and the rates associated with each category. Since this is a statement for a 4 tier rate program, the OFFLINE DEBIT category is listed as well right here. You can see the cooresponding volume, percentage rate, and total fee paid for each tier level. The only American Express fee that show up on this statement is the 20 cent transaction fee. 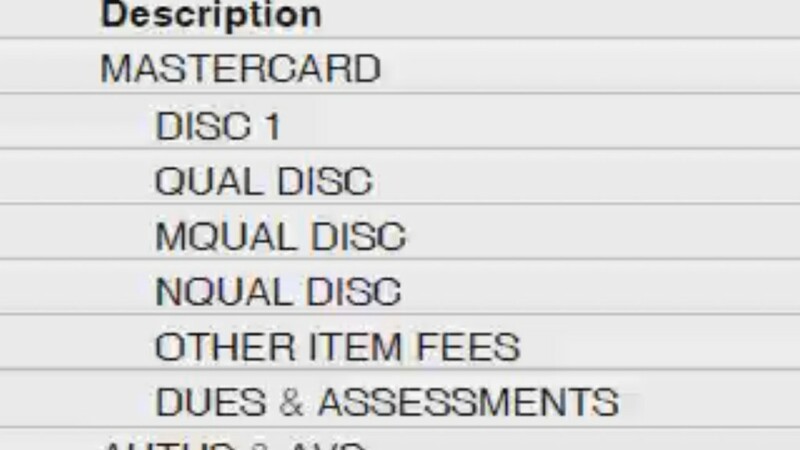 This merchant gets a separate bill from AMEX for the percentage rates and detailed transactions for the month because they are enrolled in the “ESA” program which just means that it is a direct integration with AMEX. American Express has a new program called OPT Blue which allows your processor to integrate AMEX transactions and show all the fees and deposits on your monthly statement. There are other benefits to it as well and you can find more on that at bancardsales.com. Moving on to page 6, you see the final breakdown of all the fees by category and their cooresponding category fee. For example: you can see that this business processed $13,617.95 in the Visa Offline Debit category. That means of course that out of their total volume for the month over 13,000 of it came from non-pin based Visa Debit cards. And FOR that 13,617 this company paid 1.00% flat. Now that we’ve gone page by page through the monthly statement, let’s look at the 3 most important things to “glance” at each month when you get this statement. The important sections in this example are the summary section on page number 1, and the fees charged section on page 5 & 6. So each month that this statement comes to you, take a glance at these important sections to save yourself time and increase efficiency. I have referred to this as the 5-Minute method because at MOST you should spend 5 minutes or LESS reviewing your statements each month. 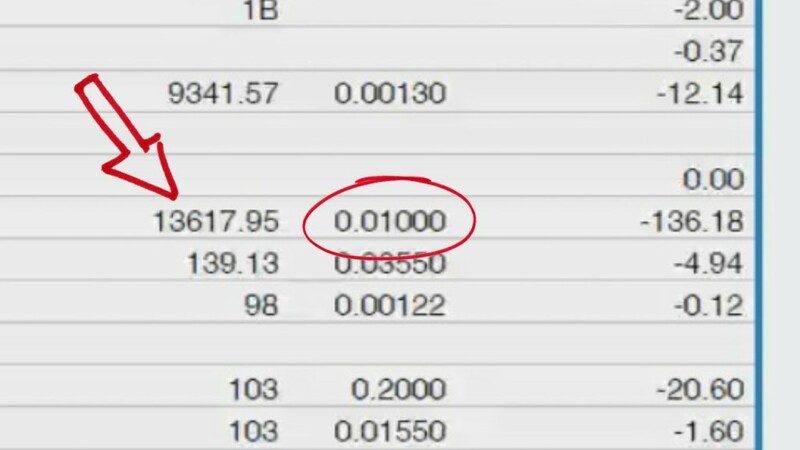 Take a look at page number 1 and if the total seems accurate move on to the second part. Remember that I’m suggesting that you keep an eye on your transactions throughout the month, through your online reporting tool and of course the deposits that hit your bank account each night. So again, this is just a quick check in on the numbers. This example shows a total fee of $734.91 and if that fee looks about right, we’re ready to move on. Let’s take that number and the total volume from number 1, and move on to the 3rd thing to review each month. Without a doubt, this is THE MOST IMPORTANT rate to look at on your monthly statement each month. The reason,,, is that it accounts for every single rate, transaction fee and fixed monthly cost that you paid for the month to accept credit cards. To calculate your effective rate, you simply take the total fee of $734.91 and divide it by $38,795.52. However, in this example, we need to eliminate the American Express volume and transaction fee charges from the equation. The reason being of course, is that the $1,500 that shows up in the SuMMARY section is included in the total, but the fees are billed from american express on a different statement. Since we don’t have those fees, we just eliminate AMEX completely from this calculation. Now we’re ready for our final calculation. Divide $733.31 by the total volume of $37,294.59 and you’ll get an effective rate of 1.96% which is a great effective rate! So that’s the First data Omaha, 4 tiered statement walkthrough. For more details and screenshot images of the statement shown in this video, head over to Bancardsales.com to view more. If you need additional help reading or making sense of your merchant account statement, please click here to book a personal strategy call with one of our team members.